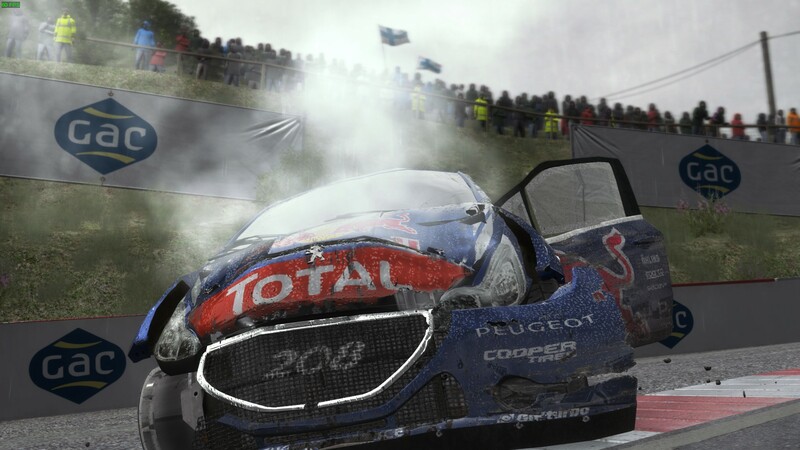 DiRT Rally [Steam, Feral Store] is one game a lot of Linux gamers have been looking forward to, so here’s my port report and review. Disclosure: Key provided by Feral Interactive. I have a bit of a history when it comes to Rally style racing simulations. I spent weeks when I was younger endlessly playing through these types of games on my original Playstation. It's incredible to see just how far they've come in terms of graphics and the physics at play. It's a completely different world! If I had to go back to one of those games after playing DiRT Rally on Linux, they would feel utterly prehistoric in comparison. Note: The online multiplayer is cross-platform with Windows. The game is quite tricky to record without a capture card, as both SimpleScreenRecorder and OBS Studio caused either a large drop in general performance, or constant frame skipping. I had to do a lot of cutting and sticking to get a decent video of it. It actually performs a lot better than what is shown in the video and even there it’s smooth. I plan on doing a livestream soon and again tonight, so hopefully if I drop enough settings in both OBS Studio and the game it will run well enough to show off. Be sure to follow us on Twitch: https://www.twitch.tv/gamingonlinux, I will start around 8PM UTC for the main event, with a smaller stream ASAP. Remember to keep an eye on our livestream schedule page. Note: Each run of a benchmark is one entire rally track, so it can end up taking quite a while. MSAA is available in 2-4-8-16. As you can see MSAA has a massive performance drop, but the game looks really great with 4-8x MSAA which seems to be the sweet spot for performance for me. The odd one is High with 4xMSAA performing better than Medium, that is not an error as I actually redid those tests a number of times to be sure. 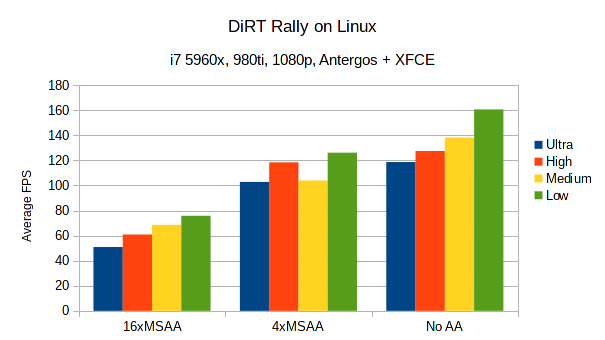 For additional benchmarks, Phoronix ran a bunch on NVIDIA here. And also for AMD here. We see different results, likely down to our very different hardware. Performance wise, it’s a solid experience. On Ultra settings with everything possible turned up it’s been smooth as silk. As always, it likely doesn’t perform to Windows levels, but since I don’t use Windows I don’t compare them. The point here is: Does it work well and is it fun? A resounding yes to both in this case. If you’re not in Big Picture Mode and your Steam Controller disconnects or turns off, you will have to restart the game to get it to work again. A bit of an annoyance, but hopefully something you won’t see too often. This is not an issue in Big Picture Mode. The rest of the game has been a pleasure. I haven't had any major issues with it at all. The game has not crashed, I have seen zero graphical glitches and I'm quite amazed by the quality of the port as a whole. A very polished and welcome title to have on Linux for sure! 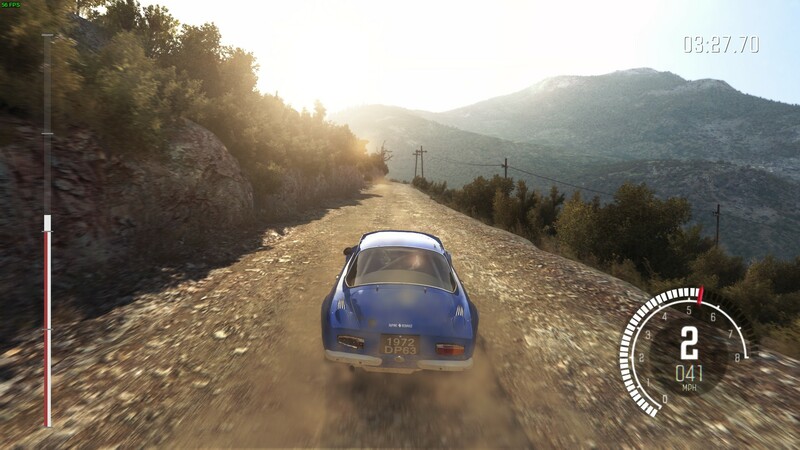 There's a lot of good racing games out there, but there's not a lot of truly great rally games. 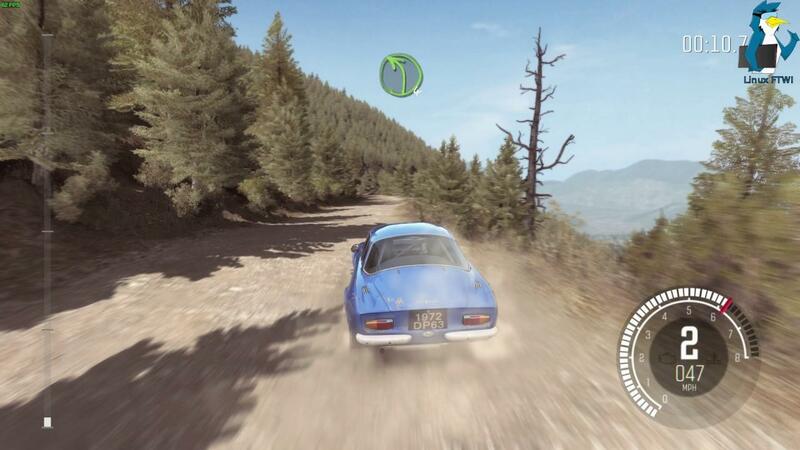 It's a very difficult style to get correct and DiRT Rally nails it in practically every way. Jokes aside, it’s a fantastic experience to play and I’ve done all my testing using the Steam Controller and it’s been one hell of a ride. It makes me really want to invest in a wheel, but I have yet to find one with a price-point that’s really affordable for so few games to use it in. Your co-driver will be dishing out instructions to you constantly, so you really need to have serious focus when driving. 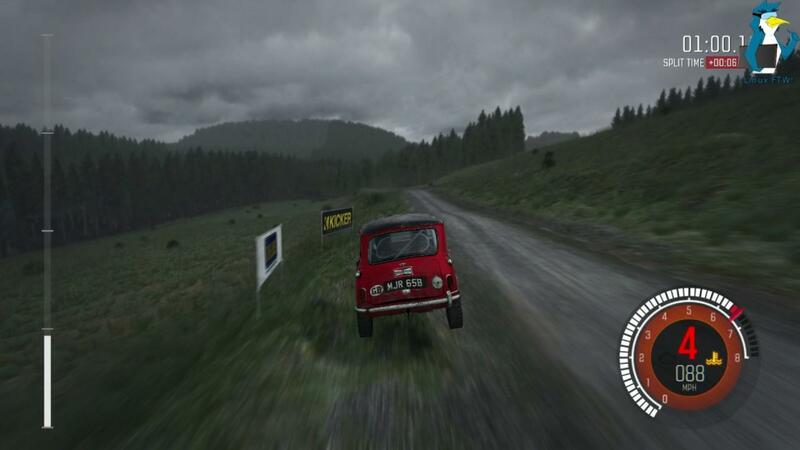 They will inform you about dips, jumps, hairpin turns, flat tyres and much more. It’s pretty funny at times when he tells you to “be brave”, which is something you really need to be to put serious time into DiRT Rally. I can’t help but floor it whenever my co-driver tells me to be brave, which never ends well. It is a difficult game, it pulls no punches and it might drive you a little crazy. This is not your standard racing game, this is well refined Rally simulation and it takes massive amounts of practice to jump up the leaderboards. This is what I like about it, as it doesn’t attempt to dumb everything down to be accessible to everyone. It knows exactly who it is designed for, but stick with it and as you learn to control the different vehicles on the different surfaces it becomes something amazing. The tracks where snow and ice are plenty are probably the most difficult times I’ve ever faced in a racing sim. You need to have some lightning quick reactions to adjust your speed and your steering constantly. If you veer-off just that bit too far to one side, you’re in for a bit of a spin which will cost you some precious seconds knocking you down the leaderboard for the championship. I’ve spent likely an equal amount of time driving on my roof, than I have with using my wheels. The tracks are long and tricky, especially the tracks with snow where I skid off every few seconds and yell “oh COME ON” at my monitor. Part of the issue is training your brain to drive very differently to every other racing sim out there. You will need to be slower than usual, taking the surface and weather into consideration more so than you might usually. They do have a versus mode as well, in the form of Rallycross. A very fun mode to be sure, but just as difficult. Not only are you then against the timer, the track and the weather, but you have to watch out for everyone else. I managed to test a race online and it was extremely fun! I even won a race, but in typical Liam fashion I didn’t just win it, I won it by rolling my little mini over and over until i went past the finishing line — I wouldn’t have it any other way. 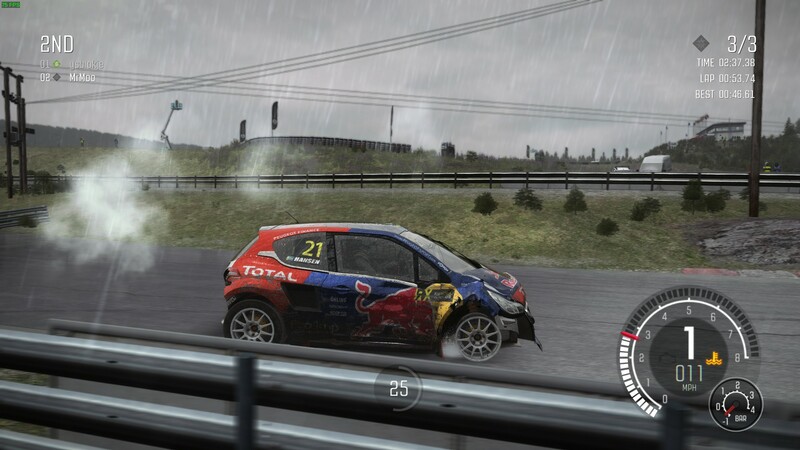 It seems the only online versus mode you can do is Rallycross. As noted at the start of the article, the multiplayer does seem to work fine against Windows racers. It's a bit sad that the online multiplayer is as limited as it is, but thankfully the single-player is really where the game absolutely shines in every way. Graphically, the game is drop-dead gorgeous. It’s probably the best looking racing game I’ve ever played. We don’t exactly have a lot to go on for such a saying, but for Linux gamers this is easily the best racing game graphically available to us to date. I’ve been surprised by its beauty at times completely throwing a race just to admire the utter magnificence of the area around me. Even as low as Medium, the game can still look very good. On Ultra settings though, it’s a different world. All the sunbeams and the reflections, the dirt kicking up from your wheels — magical. When climbing a mountain, it's surprising just how far you can see, as the render distance is quite brilliant. The sound effects in the game are incredible. If you were blindfolded and listened to the game and a real race one after the other, you would have to have super human hearing to be able to tell them apart. Every scrape, every gear change, just about everything sounds as authentic as you can get in a racing game. Here’s an additional video to showcase some spectacular failures by me, these are all genuine non-staged failures, enjoy! Hand — meet face. Yes that’s really how bad I am. There are two areas I noticed where the game does have issues. The first of which is the damage model when playing online, as the damage you see may be different to what everyone else sees. It seems the damage models are done on each client, rather than the information being sent to the server. The second, annoyingly, is collisions. Sometimes a bump will do nothing, sometimes it will bounce you off like you got pushed by a Jedi with the force and sometimes it will launch you like a catapult to end up rolling your car for what seems like an eternity. The collisions don't always seem as realistic as they could be, quite random at times in fact. This is a seriously good game, both in terms of graphics and gameplay and it will give you a serious challenge. I do fear that some people might be turned off by the difficulty, but it’s a very rewarding game when you finally win a race and get those precious credits to buy a new car. There's simply nothing else like it on Linux or even Windows, so it's a game I can completely recommend to any racing fan. You can grab DiRT Rally for Linux on Steam, or the Feral Store where Feral get extra money for purchases, so you can support their Linux porting efforts directly. "It makes me really want to invest in a wheel...."
Me too, but which wheel? Can someone give a hint? Which one is good and works in linux ideally out of the box ? Now all we need is a sale. There is quite a drop in wheels at the moment, transition between new models and ancient ones. There use to be the Logitech Driving Force GT around 90€, but it isn't produced anymore, and prices raised quuite a bit, so maybe a new model will come. Otherwise you have to go with thrustmaster T150, but I can't remember if it works with linux version. The top model from Logitech G29/G290 is 209€ in french amazon shop (use to be 400€), if you can find it the same price in your country it is really worthy. Otherwise a bit too expensive. titi "It makes me really want to invest in a wheel...."
I have a G29 and it is supported since kernel 4.4 I think. Only used it with American Truck Simulator but have had no issues with it. Is there a rewind option, like the Forza games? That was a nice compromise between realistic and not-frustrating. Of course, only non-rewind laps counted in a leaderboard, but if you just wanted to blast round having fun, rewind was essential. scaine Is there a rewind option, like the Forza games? That was a nice compromise between realistic and not-frustrating. Of course, only non-rewind laps counted in a leaderboard, but if you just wanted to blast round having fun, rewind was essential. No, I haven't seen any indicator of this. It does have a "reset car" function if it detects that you're stuck to put you back on track with a small penalty, but that's it. It's realism focused. performance looks very promising indeed. I assume that with my rx460 I might be able to get 60 fps with 4xMSAA at medium. does anyone has a logitech g29 and could test it with dirt rally on linux? i really wanna play this game with wheel and pedals, but all mentioned wheels by feral are quite old and not for sale anymore. so it looks like, the g29 would be a good way to go. but i would be thankfully, if someone already has one and could say something about it.